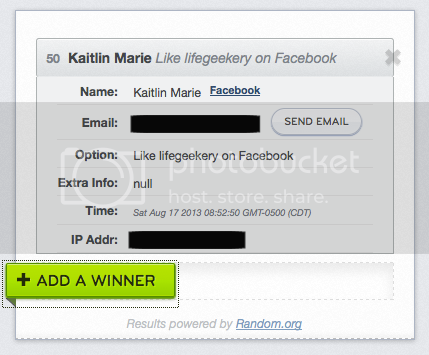 I'll be sending you an email shortly, Kaitlin, with information on how to claim your prize. Thanks to everyone who entered! 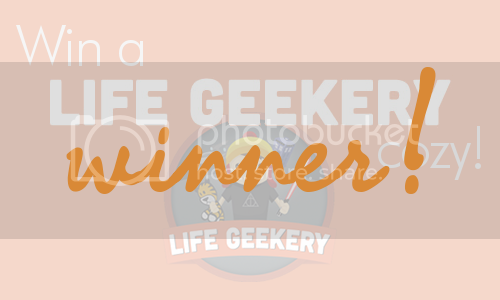 And even if you didn't win, be sure to check out Life Geekery's Etsy shop and blog for more geeky goodies and nerdy awesomeness from Nikki and Matt.